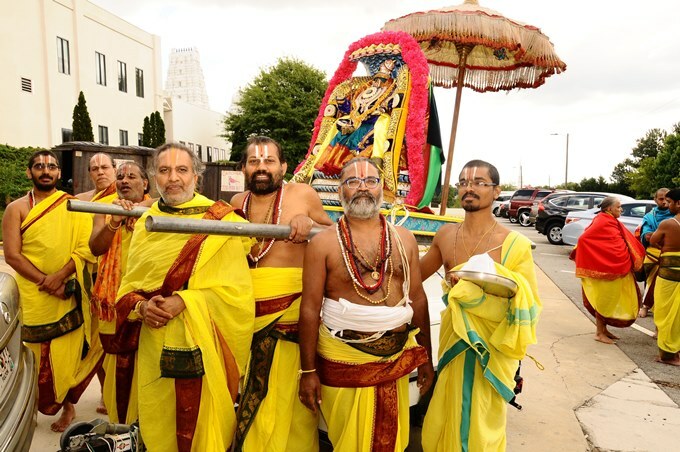 Despite unsettled weather, thousands of devotees from all over the Southeast came to the Hindu Temple of Atlanta (HTA) in Riverdale, Georgia to attend and seek blessings at the joyous, Rajatotsava Mahotsavam (Silver Jubilee) for Lord Venkateswara, Sri Padmavathi, Sri Bhudevi Sahitha, and Sri Durga Devi Prathishtapana over eleven days, from May 19 to 29, 2017. 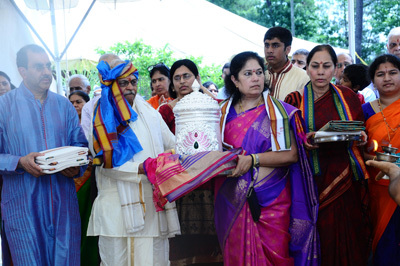 During the celebrations Vishwa Shanti Venkateshwara Ashtakshari Mahamantra Yagam and Nava Chandi Yagam were performed to promote universal peace and happiness, and Ishti Homams for peace and welfare of all supporters of the Temple. Revered scholar priest Sri Varadaraja Bhattar Garu from India, together with ten other well-versed priests from India, and six priests from the Hindu Temple, including Chief Priest, Sri Gopal Bhattar, Chief priest of Siva Temple Sri Srinivas Sarma, Sri Pavankumar, and the priests from Houston, Milwaukee, and Phoenix (including 20 volunteer priests) meticulously conducted the elaborate yagams and related daily rituals. The dazzling idols in both the temples and yagasalas under two canopy were resplendent in rich adornments. 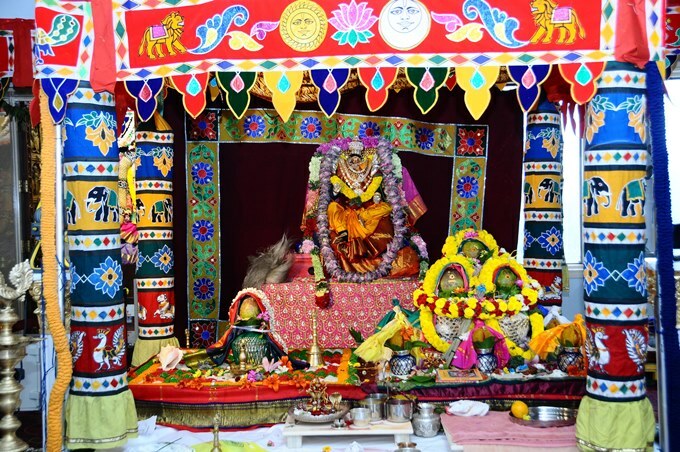 Artistic, imaginative, and lavishly decorated designs and garlands, with colorful fresh vegetables, flowers, grains, and fruits inside the temples and yagasalas complemented and enhanced the festive atmosphere of the event. Through the eleven day yagams, the elaborate rituals of different homams and pujas, and chanting of Vedic shlokas and mantras were meticulously conducted by learned priests clad in saffron robes seated at the eleven yagam kundas with consecrated fires, while devotees sat either on the carpeted floor or chairs, and joined the priests in chanting Vedic mantras and shlokas. The chants magnified the uplifting spiritual vibrations. Inside the two temples, devotees took part in archanas and harathi. The celebrations began with anugna from Lord Balaji and Mahasankalpam. On the following days, various Ishti homams—Lakshmi Narayana homam, Vaibhava homam, Hayagreeva homam, Vainateya homam, Dhanvantari homam, Manyu Sukta homam for Navagraha Dosha Nivarana (to remove negative effects), and Sudarshana homam were performed, concluding with Maha Purnahuthi with Chakrasnanam, pushpa yagam, and maha sayanotsavam. 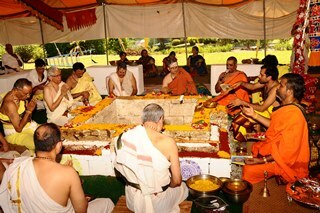 This year, from February 8 to May 20, the Temple also performed Akhanda Vishnu Nama Parayanam and homam. Daily from 19th to 27th May, devotees participated in Chandi Parayanam with Lalitha Trishathi sthotra and Lalitha Sahasranam Kumkum pooja. Brahmotsavam with all vahansevas to Lord Venkateswara was performed from May 24 to 28. Perhaps the most engaging among the various homams and poojas was Ekottara Sahasra (1001) kalasha abhishekham, Sri Chandi homam on 28th May, and the ever popular Maha Satyanarayana pooja. Daily Sri Venkateswara Mulamantra homam and Ashtakshari homam were performed in the morning and evening. The priests carried the kalashas with coconuts on top, followed by Sri Venkateswara carried in a palanquin covered with an ornate umbrella, to the ringing of bells, thavil and nadaswaram. The enthusiastic devotees joined in the circumambulation round the temple, showering flower petals. H.H. Sri Siddheswarananda Bharati Swami from Courtallam India, graced the celebrations with his august presence conferred his blessings to all and gave spiritual discourses on Sanathan Dharma and acharas from May 26 to May 29. Kitchen staff under the supervision of Food Committee Chairperson, Padma Koganti lovingly prepared varied South Indian delicacies and mahaprasadam for the attendees. On the final day, in an elegant ceremony, the priests were recognized and felicitated by the HTA for their commendable services. The Founders/Trustees, donors, devotees and all associated with the iconic Hindu Temple can justifiably feel proud of the Temple’s sterling and exemplary role in enriching the community with rich Hindu culture, traditions and values. It is a thriving and throbbing Temple which celebrates popular Indian festivals, hosts classes in yoga and meditation; performing arts; Sanskrit language classes; spiritual teachings; spiritual discourses by eminent and erudite scholars from abroad; and performances by noted visiting artistes. It hosts visits by students from schools and colleges, tourists and students of temple history and architecture. 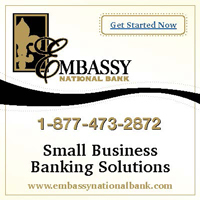 It supports outreach causes like national or international disaster relief programs and provides educational scholarships to deserving students. In short, the ornate, glittering architectural masterpiece of a Temple is playing an exemplary role of being a popular and much revered focal point for worship and learning for the Indian community. Undoubtedly, HTA will continue providing more and still better services to the community in years to come.